We created these diagrams to help us better understand computer networks. The diagrams use two computer networks—a small office network and sections of a large enterprise network—as reference networks. We overlaid two different types of network traffic on the reference network. 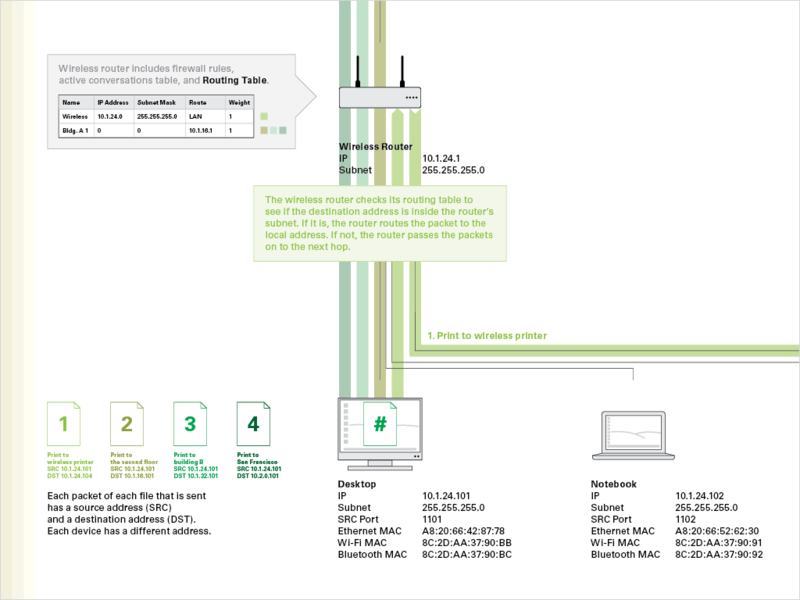 Green lines show the flow of packets in a simple network operation (printing a document to printers in different locations). Each packet of each ﬁle that is sent has a source address and a destination address. The routers check their routing tables to see if the destination address is inside the router’s subnet. If it is, the router routes the packet to the local address. If not, the router passes the packets on to the next hop. Magenta lines show the flow of traffic in a more complex operation that goes out into the internet (sending an email from the enterprise network to the small office network). Readers can trace the path of a message through various routers in the network. 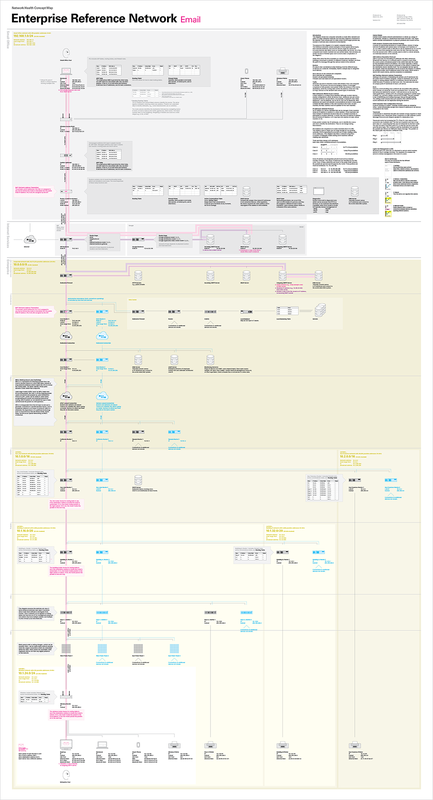 The diagrams contain four layers of information. 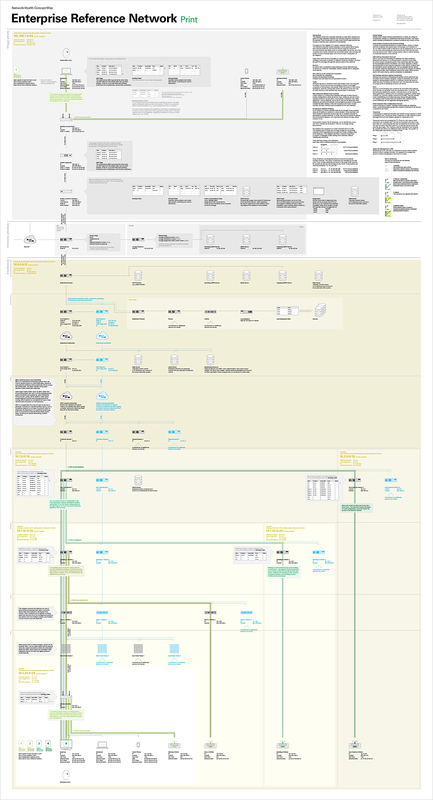 Each diagram is organized in three main sections: small office, internet services, and enterprise (which is divided into additional sub-sections). Devices (and the connections between them) are indicated with boxes. Some devices have callouts which reveal additional internal components. Redundant devices are shown in blue. Network traffic is shown as lines connecting devices (sometimes spanning different subnets). Very special thanks to Paul Devine for his expertise and patience. He helped us deconstruct and reconstruct our reference networks.